1h. 31min. 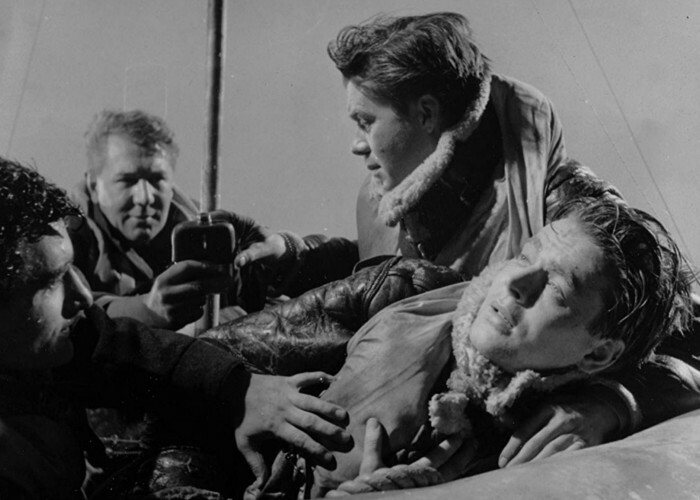 // In the North Sea in 1944, passengers of a downed RAF transport aircraft talk about their lives while awaiting rescue in their dinghy. 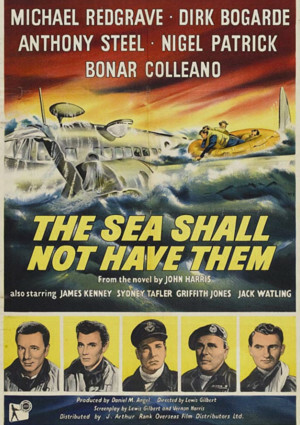 Starring: Michael Redgrave (as Air Commodore Waltby), Dirk Bogarde (as Flight Sgt. MacKay), Anthony Steel (as Flying Officer Treherne), Nigel Patrick (as Flight Sgt. Singsby), Bonar Colleano (as Sgt. Kirby), James Kenney (as Cpl. Skinner), Sydney Tafler (as Cpl. Robb), Griffith Jones (as Group Capt. 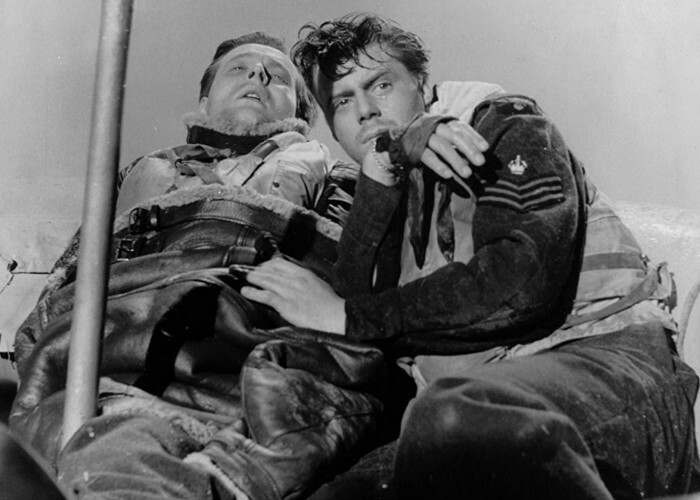 Todd) and Jack Watling (as Flying Officer Harding).